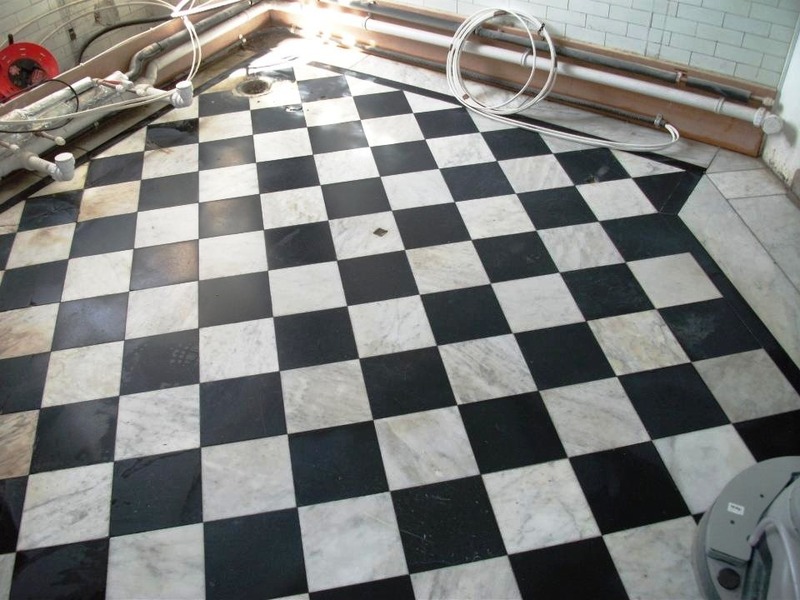 This Marble tiled floor is located in the pantry of the historical Kinross House which is a late 17th-century country house overlooking Loch Leven that was built by the architect Sir William Bruce as his own home in 1686. You can see from the photograph the floor was in quite a state and given the history it was an honour to be asked to work on the floor. 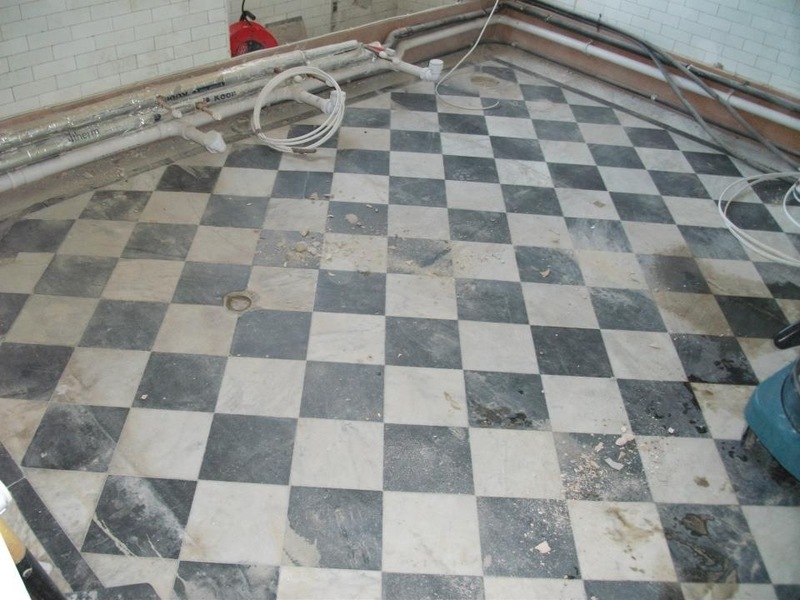 We brushed out the floor to remove all the loose debris and then proceeded to restore the floor using a set of diamond encrusted burnishing pads which fit a rotary buffing machine. The burnishing process is designed to grind out dirt in the stone and smooth /polish the floor, you start with a course pad and work your way through the four pad set until you get to the finer polishing pad. This may sounds simple but it does take time to complete. Once the floor was polished we applied a couple of coats of Tile Doctor Pro-Seal which is a non-sheen premium sealer recommended for natural stone that provided the natural matte look the client was after and will protect the Marble and keep the floor looking good. This entry was posted in Marble Posts and tagged cleaning services, cleaning tiles, floor restoration, Glasgow, grout cleaner, Kinross house, marble tiles, pantry, sealing, Tile Cleaning, tile maintenance by AbzDominise. Bookmark the permalink. 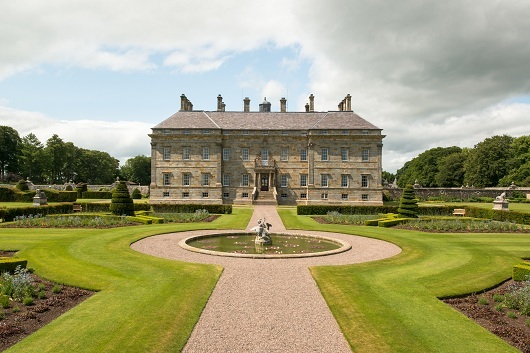 I checked the website and can see the whole house is being restored back to its former glory.